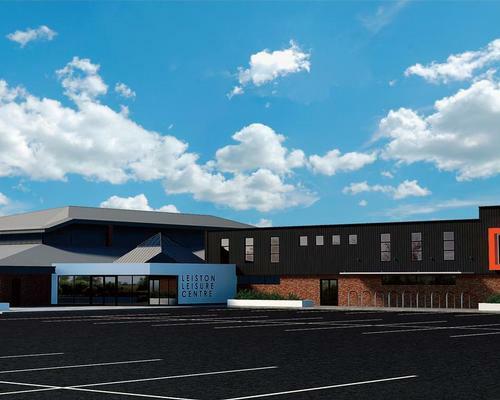 Work on a £3.5m redevelopment of Leiston Leisure Centre on the Suffolk coast is set to begin in September, after the works were given final approval by Suffolk Coastal District Council (SCDC). The new facility, designed with the council’s leisure development partner, Pulse Fitness, will include an extension and the first floor will feature a large gym floor featuring a CV zone and separate strength and resistance areas. A village-style changing area will be built adjacent to the pool and a café and soft play area will be added to the existing reception area, as part of plans to attract more families to the site. A new thermal suite – featuring a sauna and steamroom, a feature shower and a relaxation area – will also be accessible from the pool area. As part of plans to increase the number of group classes, the redevelopment will also add two new dance studios and a group cycling studio. There were initial plans to remove two existing squash courts in order to make space for alternative fitness spaces, but following feedback from a local squash club, these have been retained in the new plan. Operated by Places for People Leisure, Leiston Leisure Centre will be the second facility to undergo improvement works in SCDC's leisure redevelopment programme, and will be followed by a leisure centre in Felixstowe. Deben Leisure Centre, the first facility to be redeveloped, is due to reopen in mid-June. The works are part of SCDC's five-year investment plan, outlined in the local leisure strategy in 2014. SCDC signed a 20-year strategic partnership deal with Pulse in 2015. The contract will see Pulse work with SCDC and its Strategic Leisure Operations Partner - Places for People Leisure - to develop existing and new leisure facilities and services in the district. SCDC expects to invest between £10-20m in its leisure facilities by 2035.